Are you concerned about your child’s growth, development, mood, focus, sleep, eating, overall wellness and performance at home and school? 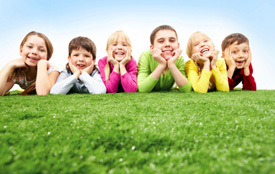 Has your child received a diagnosis of ADD, ADHD or SPD? Or perhaps you’re a professional who cares for children 0-18 with one of these disorders. We want you to know that effective, drug-free help is available. Expressing Life Chiropractic invites you to join us for a live ADD, ADHD & Sensory Workshop. During this information-packed event, Dr. Justin Turner, DC will provide answers and action steps to empower you to help your child. For over five years, Dr. Justin has been helping children, just like yours, grow and exceed expectations. He has extensive training as a pediatric chiropractor to help your child flourish, whether they’re in the classroom, at home, or on the field. You don’t have to accept limits other medical professionals have given you and your family. “I have a particular interest in helping children with SPD. Approximately five percent of grade school age children are diagnosed with the disorder. Through chiropractic adjustments, neural processing can improve, and symptoms of the disorder can be alleviated,” says Dr. Justin. During the workshop, Dr. Justin will break all the rules and discuss the various reasons our children need help. From both the outside and the inside, we will help you put together the information you need to know why your child is struggling. We’ll give you step-by-step help that you can use to start making a difference for your child. Together we will help you learn how to minimize the tough days and maximize the good days for your child at home and school. The proof is in the parents who have been where you are. We’ll share with you stories of kids who no longer wrestle with the symptoms of sleepless nights, struggles in school or lack of focus. Our team works with the National Wellness Foundation to help as many families as possible. We can’t wait to help your family find the answers you’ve been looking for! Because space is limited, reserve your spot by calling (214) 856-4425 today!